Within the last two centuries I've been a video game artist, both freelancing and as an employee at Interplay Entertainment. After that, worked as a graphic artist and web designer for a few years. 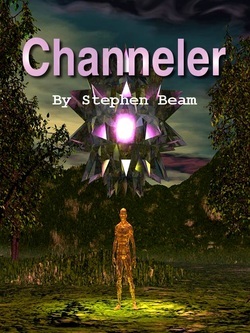 Now I am writing ebooks and creating computer art. I love to write as well as create visual art. To me, they are both the same, dealing with texture, color and composition to create a feeling. In my opinion, real art suggests a greater, higher level of reality beyond our present material life and this is the emotional reaction I aim for when people read my books or look at my visual art. 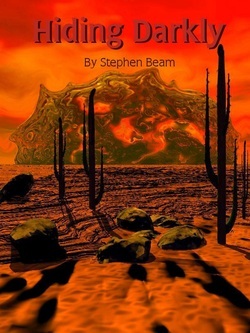 The unexpected and unique, horror mixed with humor and a touch of science fiction, an original attitude that creates an engaging connection with the reader. These values are my lamp on the literary path. If you experience feelings never felt before after reading these books, then success has been achieved. You've passed through the desert before and wondered to yourself, who could live in this hot, lonely landscape? Gilbert, a bit of an oddball, does, and he finds his reality invaded, morphing into increasingly twisted, horrifying scenarios that just shouldn't be. The world has never ended this way before. Sarah and Dave own a quaint bookshop in the small mountain town of Boulderdale in the redwood forests of the Santa Cruz mountains. On a dark, wet day a strange man asks Sarah if he can post a flyer for a metaphysical meeting here in town. From then on, the couple's world will never be the same. The unrelenting, realty shredding horror takes over. 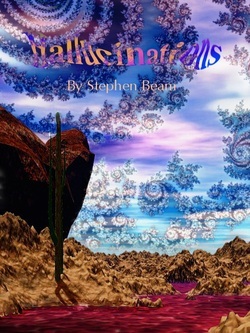 Book 2 of the Hallucination series. A first person narrative told by a lost soul that doesn't know who, where or what he is, a creature obsessed with escaping from chaos - the world eating monster that grows more threatening by the hour. The surreal pilgrimage begins on a walk through a decaying town, then across desert sand and finally into the bowels of the earth. This refugee from reality is either a victim of an otherworldly conspiracy or something much darker and much closer to home.